Sofia is a house favorite. 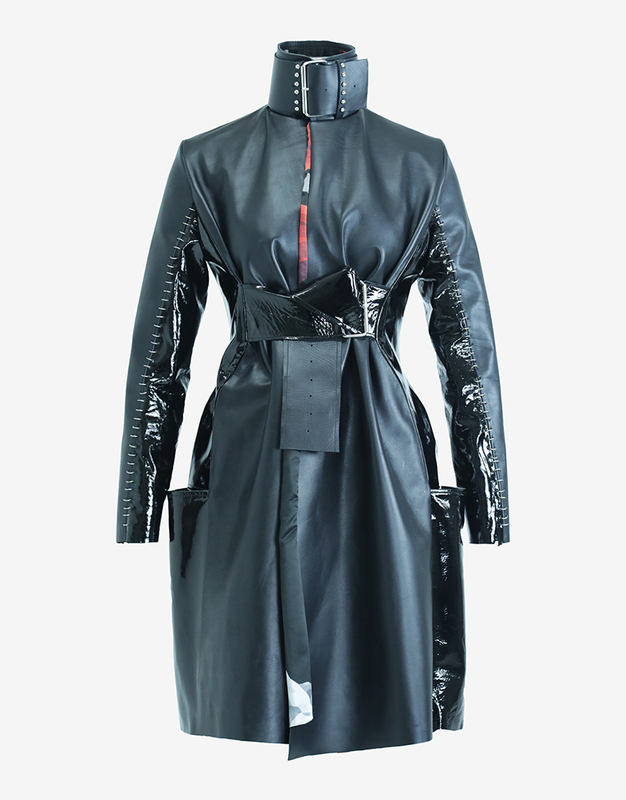 This leather jacket has patent leather under sleeve and side contrast panels. 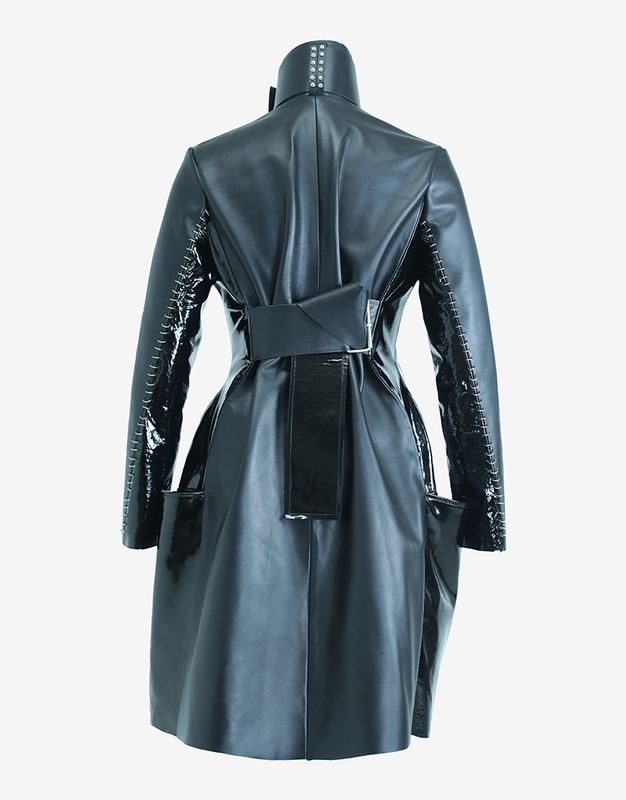 Embelished with pierced seams and studded collar belt loops. Equipped with deep side pockets and front and back wide belts sewn into the princess seams at the waist. Sofia is made from a special heavy weight leather that has a subtle matte shine. It’s subtle cut hour glass shape is ideal for layering while still keeping a beautiful silhouette.